Posted on May 13, 2009 January 26, 2018 by Joseph Alban, L.Ac. This acupressure routine helps promote sleep and relaxation. In addition, it can be used for improving concentration and reducing jet lag. 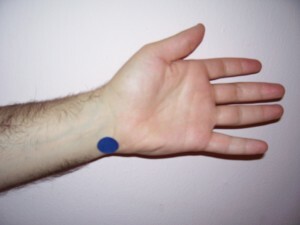 Often, I will give my patients these particular acupressure points to augment the acupuncture treatments for insomnia. Stimulation– If trying to go to sleep, gently rub towards the body. If trying to concentrate or wake up, gently tap. Function– calms the spirit and nourishes the heart. This is one of the most important points for insomnia and jet lag because the heart is in charge of the internal clock. This point will be very good for people who wake up in the middle of the night and cannot fall back asleep. If you gently tap this point, it can help concentration. Function– This point has many functions. It is most famous for treating nausea and improving digestion, but it is very powerful for managing stress and helping with sleep. The pericardium surrounds and protects the heart, so stimulating this channel also stimulates the heart. 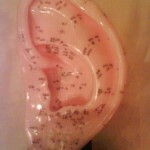 The ear is a map of the entire body with different body parts and body organs. By rubbing the ears, you can stimulate the entire body, moving qi and helping you feel more relaxed. 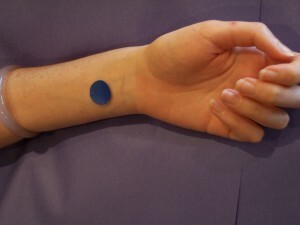 The introductory class for Acupressure for Self Healing at the New York Open Center is on Monday November 5th at 6pm. Interested in learning more about how you can use acupressure to relieve headaches, menstrual cramps, digestive problems, and improve overall health? Then you should come to my class at the New York Open Center in November 2012.
locate points, how to diagnose imbalances in energy flow through the meridians, and how to apply pressure correctly. You’ll also learn some qigong breathing exercises and tui na massage techniques. By the end of the course, you’ll be able to use acupressure on ourselves and others to alleviate a range of ailments, including indigestion, PMS and menstrual cramps, headaches and migraines, back and neck pain, as well as to boost overall wellness and energy. There is a five dollar introductory course on November 5th at 6pm. Click here to register. The course meets for 4 session on Mondays from November 12th- December 10th from 6-7:30pm. There is no class meeting on November 19th. Previous PostPrevious What is Acupressure?